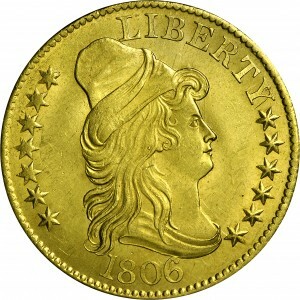 This 1806 half eagle variety has an obverse with an entirely different date font from all others of this coinage year. The most familiar difference, and the feature usually referenced, is the distinct knobbed 6 in the date. Perhaps even more quickly noted is the layout of the stars on the obverse. 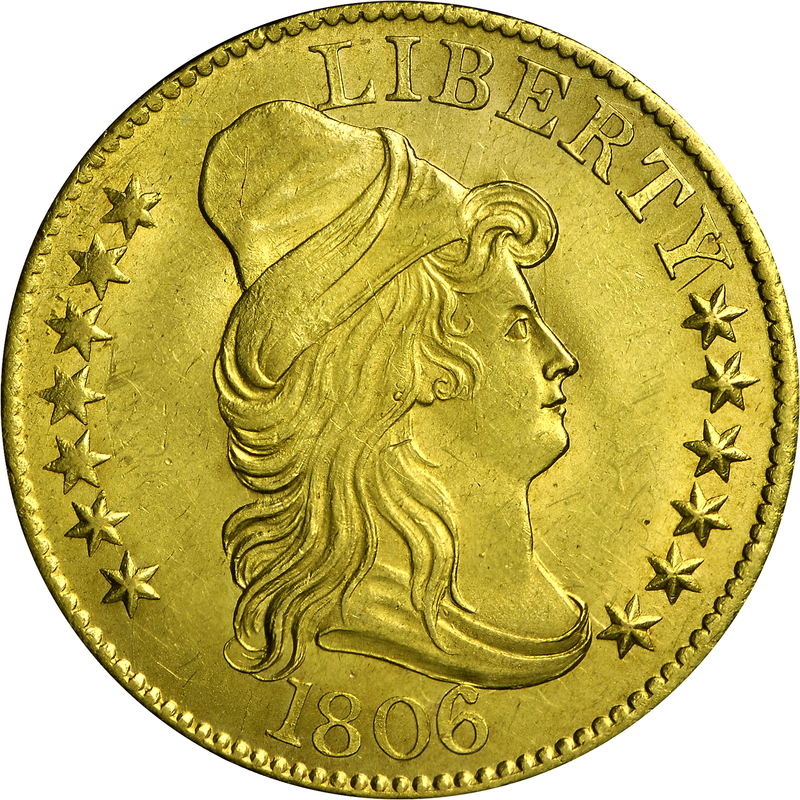 On all 1806 half eagles with a Pointed 6, the stars are arranged with eight left and five right. 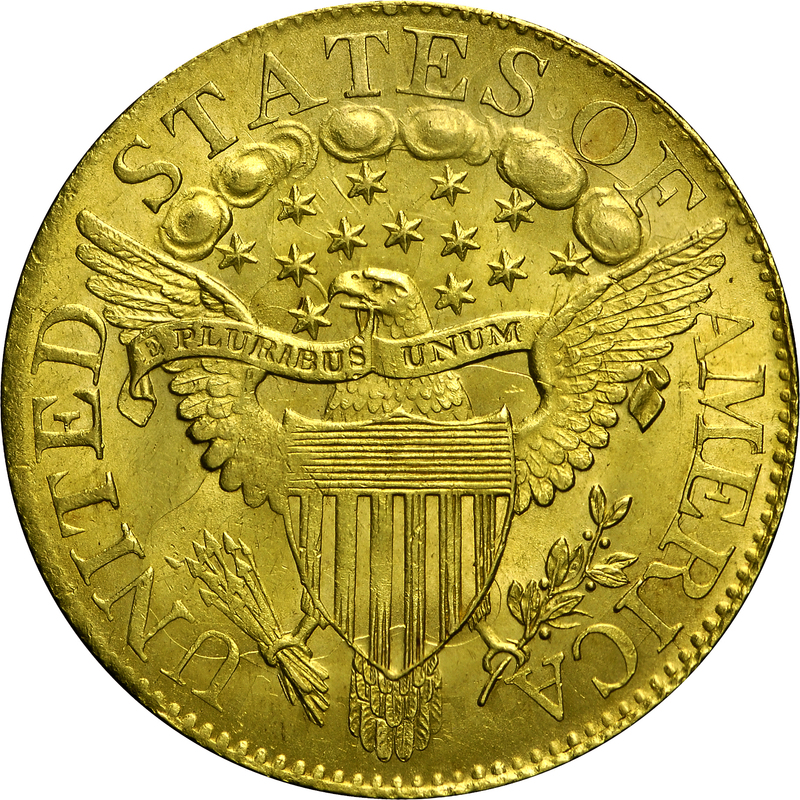 On this Knobbed 6 obverse, however, the stars are arranged with seven left and six right. 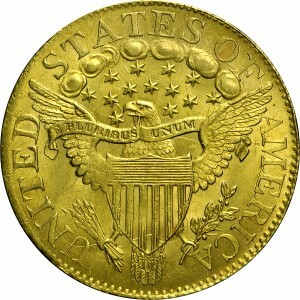 The reverse is from the same die as the previous half eagle, HBCC-3100. From Stack's ANA Sale, August 1971, Lot 2118. "Obverse: Knobbed 6, small numerals; 8 and 0 lean left. Crack edge - bottom curl. Curls at bottom quit thin. Small letters LIBERTY. Lapped. Reverse: Large letters except for A's in AMERICA. Clashed."